The Neanderthal Ancestry report provides information about how much of your ancestry can be traced back to the Neanderthals. The analysis includes the review of over 2,000 genetic variants of known Neanderthal origin that are scattered across the genome. Neanderthals were a group of ancient humans who lived in Europe and Western Asia, and are the closest evolutionary relatives of modern humans. They went extinct about 40,000 years ago, after living alongside modern humans - Homo sapiens - for thousands of years. As a result, evidence of Neanderthal DNA is now found in traces in nearly all modern humans. 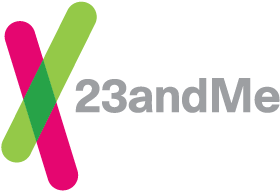 With the Neanderthal Ancestry report, you can view the amount of Neanderthal variants you have compared to all 23andMe customers worldwide. You can also learn about the history of Neanderthals and their evolution compared to modern humans as they diverged from a common ancestor and then converged again.